A decision on a new service for waste removal in Peterborough has yet to be agreed. 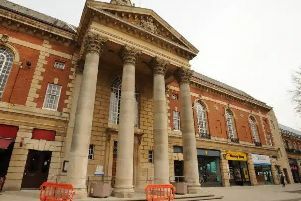 Peterborough City Council announced in January it would terminate its waste contract with Amey in a bid to save £100,000 every year, with no job losses expected. The contract saw Amey delivering household waste and recycling collections, street cleaning, property design and grounds maintenance. However, after unveiling the first set of its 2018/19 budget proposals, the council said it had still not decided how to replace Amey. Cabinet member for resources David Seaton said: “We are continuing to review the options for the replacement of that contract. The contract with Amey expires in 2019, meaning a new arrangement will have to be approved next year. The council agreed a 23 year contract with Enterprise - which was later bought out by Amey - in 2011. However, the authority did not have to pay any extra money to terminate the contract early.